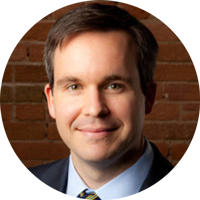 Matt is the Managing Partner of Market Square Equity Partners. Market Square Equity Partners (“MSEP”) is a Toronto based private equity firm focused on buyouts in the Canadian lower middle market. MSEP’s investments are made in industries following extensive research. At present, our current focus is on infrastructure services, with a view that the current deficits in spending will drive current and future demand for repairs and maintenance of existing and new infrastructure. Moreover, we believe that this sector has recession resistant qualities and that returns generated from this segment are more attractive than those generated by direct, capital intensive infrastructure investments. We invest in Canadian lower middle market platform businesses within researched industries, with visibility to strong free cash flows, and opportunities for follow-on acquisitions. We look for opportunities to assist owner-operators in their succession planning, opportunities to professionalize management teams and processes, and businesses that have strong barriers to entry. Our investment team has over 80 combined years of private equity and venture capital investment experience across over 100 transactions. MSEP’s current portfolio includes Clean Water Works, DM Robichaud and Ontario Excavac. Matt holds an MBA from the Richard Ivey School of Business at the University of Western Ontario and a BACS in Business Administration from Huron College University. He is also a Chartered Business Valuator (CBV) and a member of the Canadian Institute of Chartered Business Valuators.